KEEP YOUR BUSINESS RUNNING LIKE A WELL-OILED MACHINE. You’ve made a huge investment in your equipment. Protect that investment by keeping it running at peak performance. 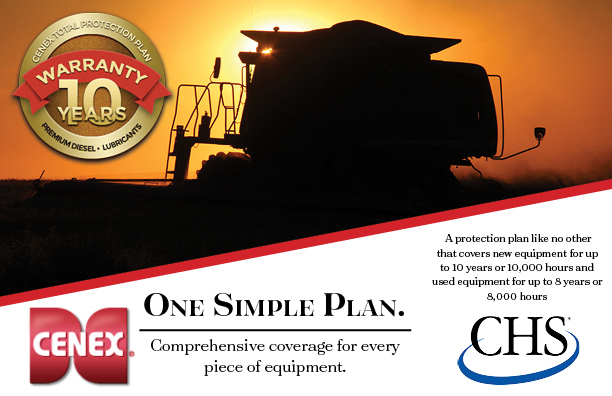 The Cenex Total Protection Plan® is unsurpassed in its ability to provide valuable coverage for both agriculture and forestry equipment — and peace of mind for you. For full details, please see the warranty brochure and contact your local CHS Northern Plains Energy Specialists.